Aww, thanks Tom (and, uh, sorry). I just spoke to her a minute ago and her voice is sounding SO good and strong. She’s still delighting in the farmers’ market veggies. I’m so proud of her. Also, I’m updating the recipe with a note from her: She says apricots are also marvelous in this recipe. 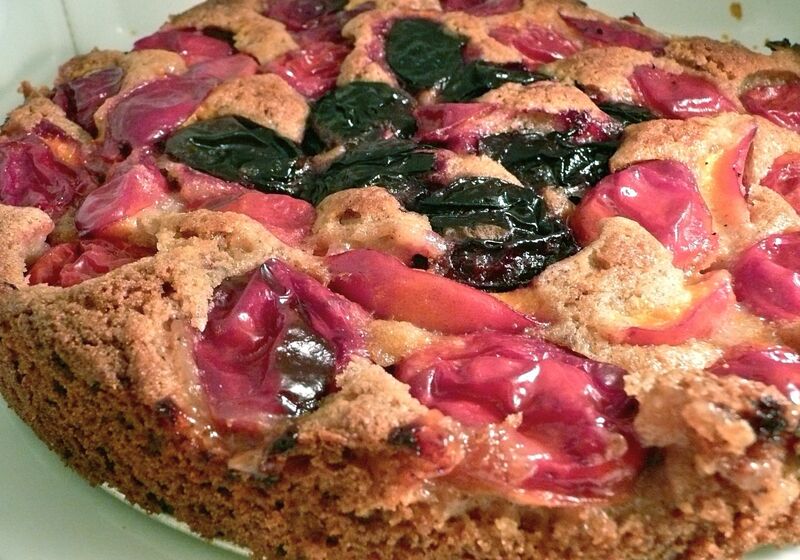 She halves apricots in summer, freezes them, and then makes this cake in winter to delight her friends. Now eating a slice. Yummmm.